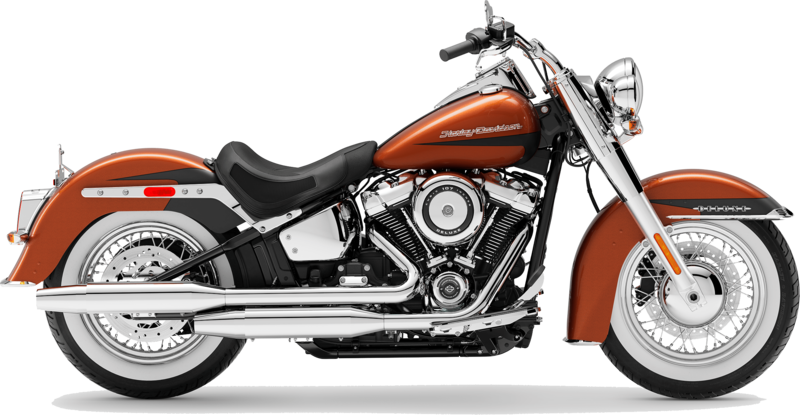 The new Harley-Davidson® Softail® Deluxe is for sale at Latus Motors Harley-Davidson® near Vancouver, Washington. If you are searching for a new Harley® that appeals to your sense of adventure and satisfies your sense of style, head to our local motorcycle dealership. We carry the new line of 2019 Softail® Deluxe models. When you climb into a saddle mounted above a Milwaukee-Eight® 107 engine, you'll find a comfortable solo seat and Pull-Back handlebars. Book your Harley® road test then make the quick trip from Portland to our new and used motorcycle dealership. From its Retro-Modern Styled LED lighting to its Softail® frame to its chrome laced wheels with whitewall tires, this bike drips style. The whitewall theme is carried through the front fender stripe as well as the gas tank. The 2019 Softail® Deluxe isn't just a showstopper. Form meets function in the pull-back handlebars. Along with giving an aerodynamic contour to the front end, these handlebars provide easy-reach ergonomics and a confidence-inspiring riding position. To help you see and be seen, the retro lighting design houses LED bulbs for today's modern enhancements. In fact, the running lights, turn signals, headlight, and Tombstone tail/stop light are all LED. When day cruises turn into night runs, the 2019 Softail® Deluxe keeps the road ahead safely illuminated. The Softail® Deluxe blends iconic elements that combine to tell the world you ride a Harley-Davidson®. Of course, nothing does this better than the soul-satisfying rumble billowing from a 2-into-2 shorty dual exhaust. 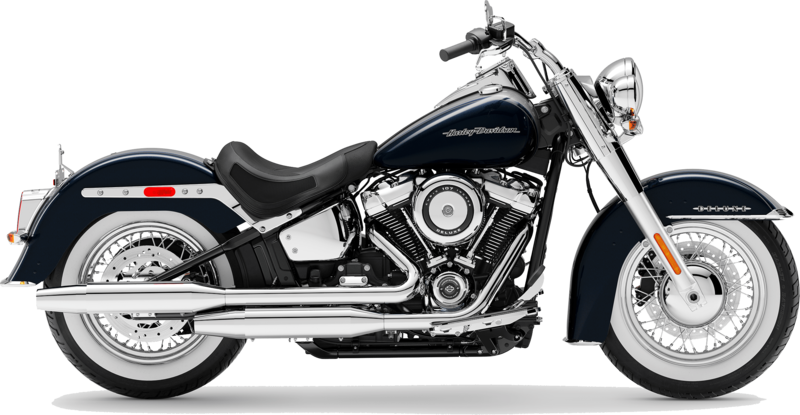 Are you ready to chase the horizon on this new Softail® motorcycle? Our finance associates can help you decide if it's better to buy or lease. After you are pre-approved for your motorcycle loan, set the cruise control on your new Softail® Deluxe and chase the horizon. Find yours at Latus Motors Harley-Davidson® today! T power of a High Output Twin Cam 103B™ engine wrapped nostalgic beauty. The Softail® Deluxe grows more appealing every year.